We would kindly like to invite you to download the World Construction Forum 2019 event app for your mobile device. Besides the latest forum programme, detailed list of section chairs and keynote speakers, the app will provide you the ability to follow any last-minute programme changes, share your thoughts on the event as well as to be notified in case of important WCF2019 related messages. The app can be downloaded from the appropriate app store (for iOS or Android – please search for the app by the name of “Attendify”) or by following this link. 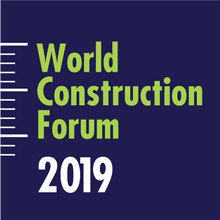 When app is downloaded, please search for “World Construction Forum 2019” and follow on-screen instructions.